- As strong as steel. - No sharp edges that could damage your product. - Can not rust or rot. Siddhalaxmi Engg Inds Pvt. Ltd.
We have carved a niche amongst the most trusted names in this business, engaged in offering a comprehensive range of Automatic Packing Machine. 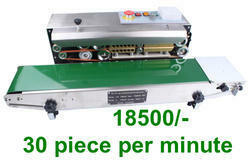 We are indulged in offering Packing Machine to our clients. This Packing Machine is designed for packing a wide range of dry powders, flaked materials. 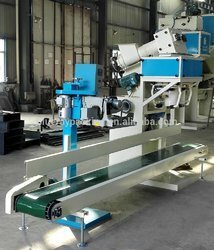 The concept is that the screw/auger feeder conveys the materials to the sack. Offer these products as per clients requirements at market leading prices.